The Citroën Méhari is a utility car and off-roader produced by the French automaker Citroën. 144,953 Méharis were built between 1968 and 1988. A Méhari is a type of fast-running dromedary camel, which can be used for racing or transport. A Méhariste was a French Armée d'Afrique and Army of the Levant cavalryman that used these camels. 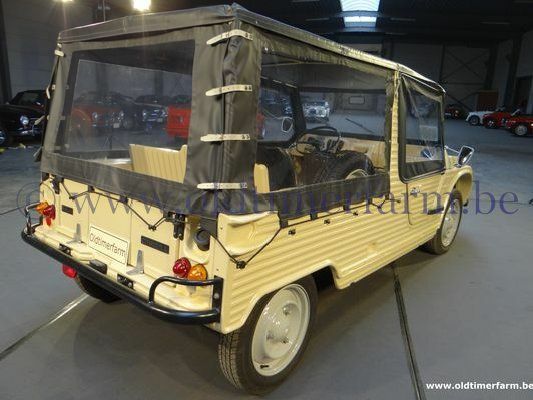 The Méhari was based on the Citroën Dyane 6, and had a body made of ABS plastic with a soft-top. 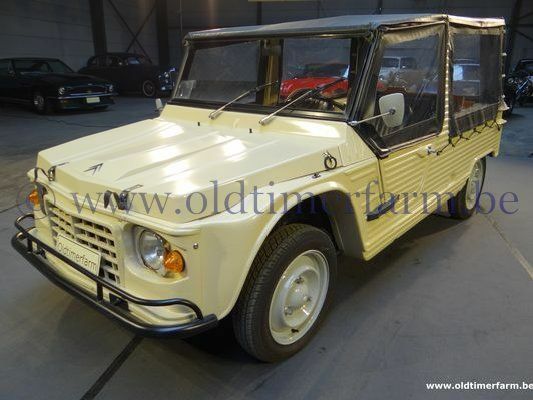 It also employed the 602 cc flat twin gasoline engine shared with the 2CV6 and Citroën Ami. A four-wheel drive version of the Méhari was produced from 1980 to 1983 and had excellent off-road qualities, due to the lightness of the vehicle (the standard Méhari weighs just 570 kg (1,300 lb)) and the interconnected fully-independent long travel 2CV suspension used by all of the Citroën 'A-Series' vehicles. For a full description of the suspension, see Citroën 2CV. Specifications. Bodywork. Length/width/height/wheelbase – cm (in) : 352/153/163/240 (138.6/60.2/64.2/94.5); weight : 550 kg (1225 lb). Engine. 2 cylinders 602 cc (37 ci), air-cooled, manual 4-speed gearbox, rear-wheel drive. Maximum power : 26 bhp @ 5750 rpm. Top speed : 105 km/h ( 65 mph).